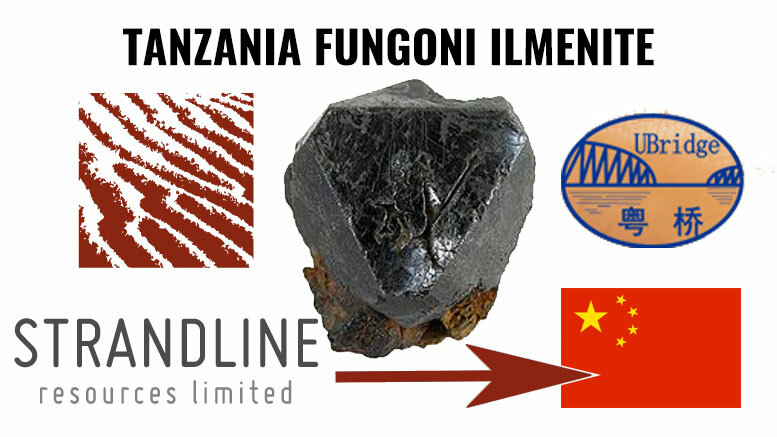 Australian mineral exploration and development company Strandline Resources (ASX: STA) has announced that it has secured a binding offtake agreement for 100% of the ilmenite which will be produced at its Fungoni mineral sands project in Tanzania. The Agreement is with China’s Maoming Ubridge Group Mineral Industry Company (Maoming), part of Maoming Ubridge Group Co., with interests in mining, agriculture, trade, and business. The zircon-rich Fungoni Project, located 25km south of Dar es Salaam port infrastructure, is the Company’s most advanced Tanzanian based development. The binding sales contract signed with Maoming covers 100% of the ilmenite to be produced at Fungoni for the Life of Mine, which is expected to generate 28% of forecast revenue from Fungoni. binding offtake contracts with Chinese companies.